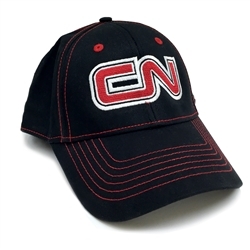 CN Sport Pro cap made of 100% cotton with tab velcro closure. Structured front panels featuring the CN logo. Black cap with red stitching. One size fits most.